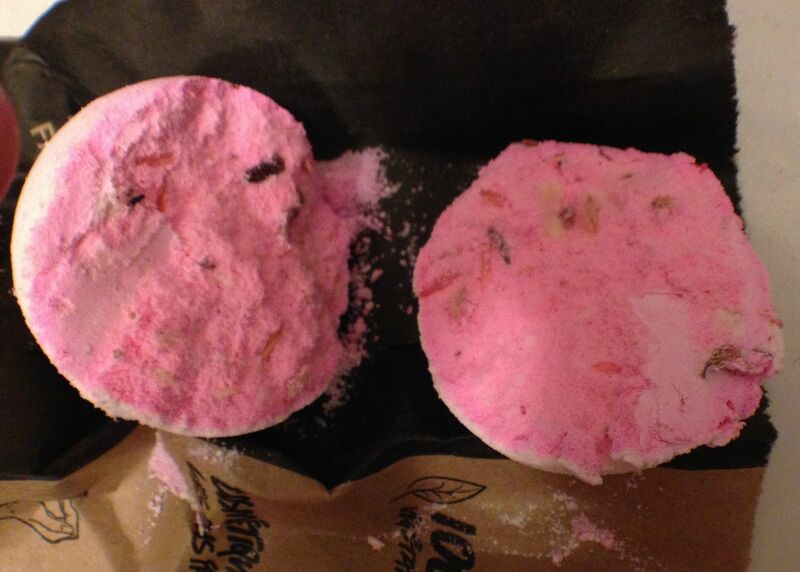 This is the first review of one of the bath treats from my mini Lush haul that I posted about (here). I picked this one for two reasons, the first being that I love rose scented bath products, and the second being that I was told that it was being discontinued, so I knew that I had to try it. Full of blossoms, petals and a sensuous new rose fragrance, this one is a splendid, sophisticated bomb fit for a queen. When LUSH co-founder and Bath Bomb inventor Mo first dropped one of these in a tub to show everyone her latest invention, she asked if there were enough petals. Everyone said they thought there was plenty, but Mo went ahead and put lots more in to really spoil us! As you can see from the photo, and read from the description, there are loads of petals in there. Now onto the bath! It fizzed up very quickly, turning the bathwater a lovely shade of pink, and filling the room with the gorgeous scent of roses. As you can see, there are petals floating in the water. Overall I did enjoy this bath bomb. I loved the rose scent and the amazing moisturizing properties. I didn’t even need to use body butter afterwards! The colour of the water was pretty as well. My only complaint is all the damn petals! It was like there were petals and twigs and random other bits of plants and flowers that stuck to my skin when I got out of the bath. 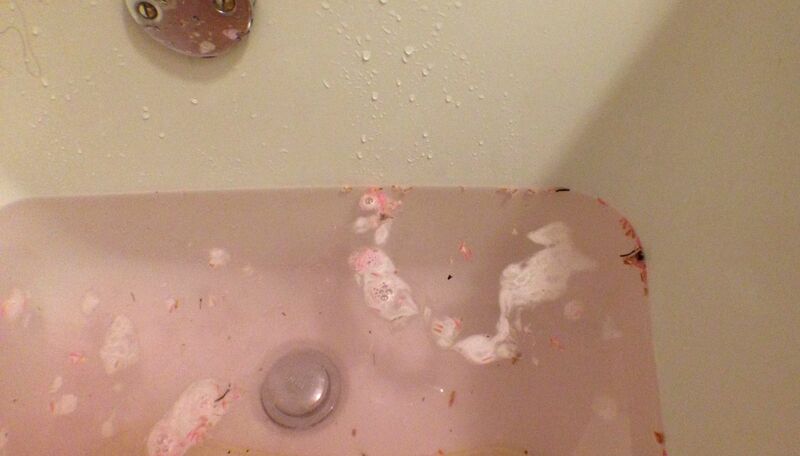 And worse, the amount of petals (and other debris) that I had to clean out of my bath after draining all the water! 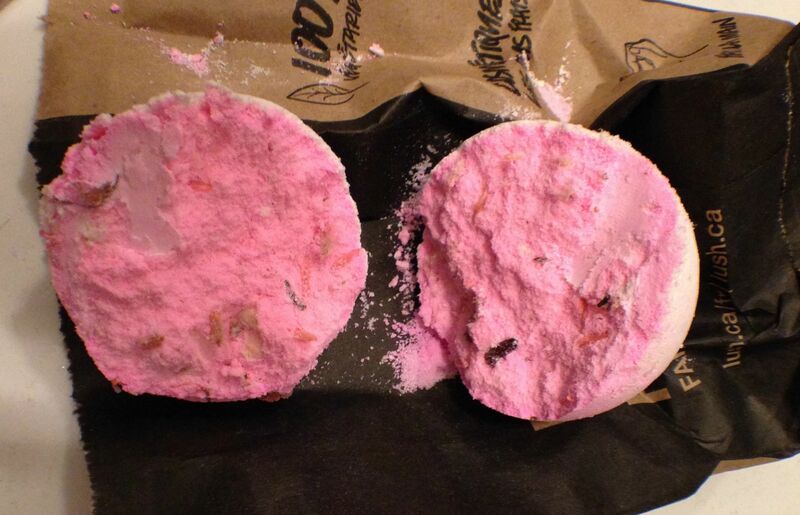 I’d forgotten that I’m not a fan of bath bombs with petals in them. If you don’t mind bits and bobs floating around in your bathwater, then this is the one for you to try before they discontinue it. I’m glad that I picked this one to try even though I didn’t enjoy the mess of petals. Would I get this one again, no. Not unless they made a petal-free version. Disclosure: This was part of a mini-haul that was partially paid for with a gift card from a friend, and partly paid for by me. It did look so lovely and romantic, but then once I was in the bath, it reminded me a little of dead bugs floating on water, which is not at all romantic, haha! I’m the same way with a lot of perfumes. Are there any brands of bath stuff that you can use without being overwhelmed by the scent? Haha, I didn’t even think of that! It took forever to clean all of the bits out of the tub, what a mess! I might try Rose Jam next, since it is also rose scented. I think the hard part is cleaning the tub.. I wouldn’t want the petals clogging the drain. The clean up was the worst part, and yeah, I was worried about that as well. 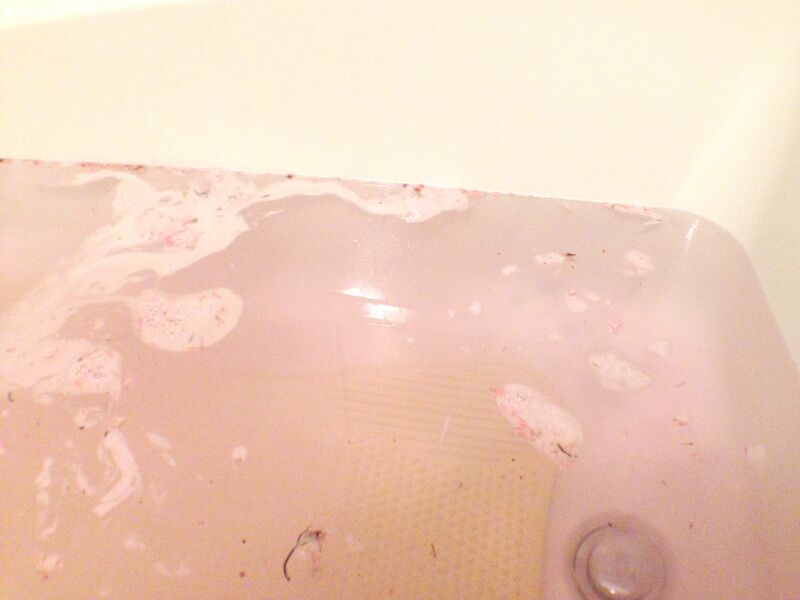 The petals mostly stuck to the sides of the tub and to my non-slip bathmat, thankfully! I’m another one for whom Lush is kind of overwhelmingly fragranced – to the point that I’ve never bought anything of theirs! Their stuff looks gorgeous, though. Maybe I should venture in one day 😀 ❤ roses! I sometimes find the store to be overwhelming when I first step in. You might be better off making a list and having someone pick it up for you! It looks so pretty! I can totally understand not wanting to pick “nature bits” off after a bath! hahaha! Oh gross! Yes, very disillusioning! It is my only negative point for it, the scent and softness is glorious! Can’t wait to try the next ones in my stash! 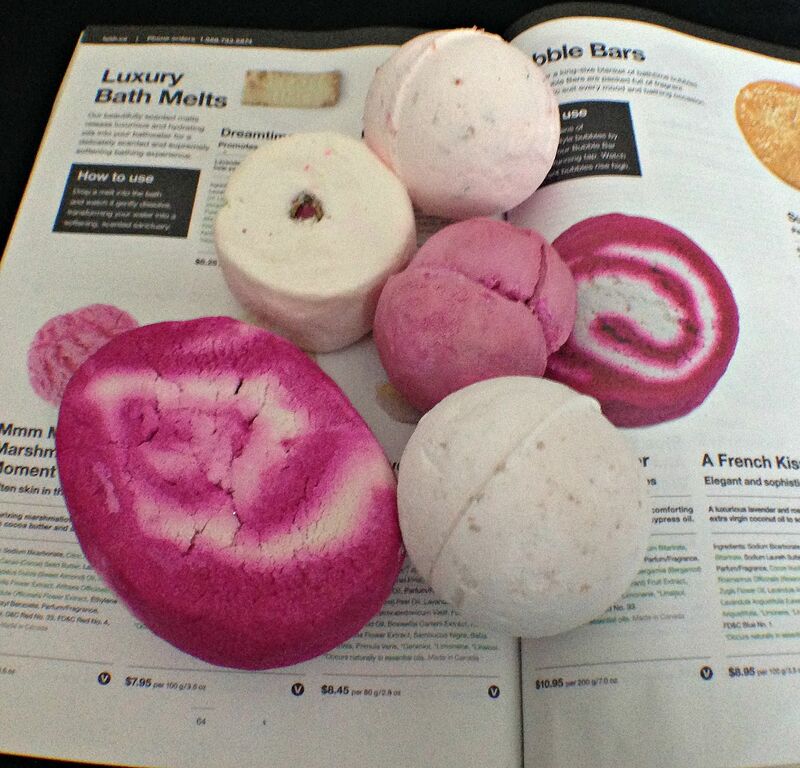 This is so cool, I’ve really tried a bath bomb because but after reading this I really want to try one. The pink color looks really relaxing. So do you put the whole bath bomb inside the bath water? It’s so pretty in the water! It smelled so beautiful, too bad that I don’t like petals!